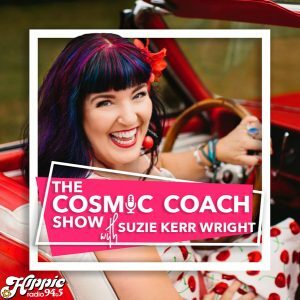 Suzie Kerr Wright is an Astrologer, Psychic Medium, Tarot reader, Reiki Master-Teacher and Certified Life Coach. Originally from Boston Massachusetts, now living in Nashville, this Scorpio is a natural born psychic! Suzie has been providing stellar readings to clients for over three decades, giving thoughtful, honest insight with a slice of charm and dash of Cosmic Common Sense® to sweeten your consultation. Listen to Suzie on Nashville’s Hippie Radio! 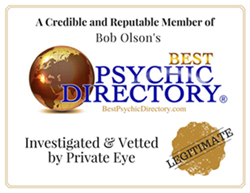 Psychic readings assist you in discovering your own truth so it makes sense to YOU. A professional reading can provide you with the spiritual tools to navigate your way through challenging times. A session with Suzie is empowering, insightful and fun! The latest from Suzie’s Blog! 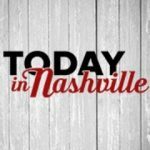 Today in Nashville Appearance- 2018 Predictions! 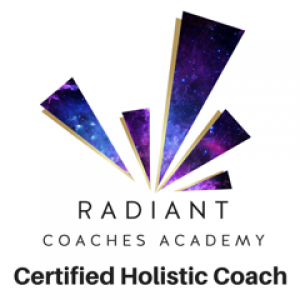 My clients consult me because I assist them in making powerful, positive choices in their lives! Aligning with my soul’s purpose. Gratitude and love goes out to Suzie Kerr Wright for some wonderful insight I received this evening. I just want you to know that a ton of things you had told me about that would happen this year have in fact happened! Wild! Thanks for the accurate forecast. I am so glad that you have entered my life and was able to enlighten me. I will be sure to make an in person appt in Nashville. You are a truly amazing woman and I hope people that cross your path in the future realize this. Thanks again Suzie, you are amazing!! She made me feel better with her good input and a lot of new information. I really liked talking to her. She seemed genuine – that's what I liked the best. And you could feel she truly cared. I had a lot of fun during my reading and the info about my new job. I did get it and really like it-just like you told me. The Reiki was very relaxing and I felt great after my treatment. Did a surprising job of picking up on my situation. Suzie (is) honest and did not use too many words to get in the way – she just got to the point if you know what I mean. Very refreshing. She is good and has given me insight into some things that had really been bothering me. She makes sure that there is a connection between us - doesn't just jump in like she wants you to pay and go. You really impressed everyone. Your insights and predictions were so accurate. You made my birthday party one everyone will be talking about for a long time to come! We're planning another "psychic party" with you soon! Um ok...so who do I call to pick my chin up OFF THE DAMN FLOOR!!! Unreal... wow... I"m truly amazed by my online reading. Book your own appointment online! Sign Up For Suzie's Newsletter! Get news, updates, and insights every month from Suzie - right to your inbox!